With data from census.gov, this interactive visualization depicts US Trade Surplus and Deficit, with 20 different countries, for each month over the past 10 years. 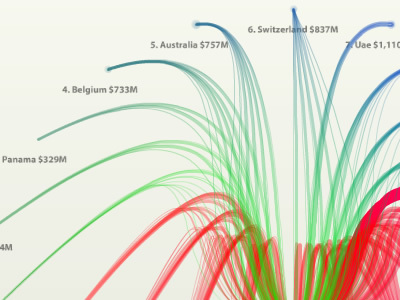 The countries in the blue-green along the top represent surplus cash flows to the United States, while the countries in the purple-red along the bottom represent deficit cash flows from the United States. 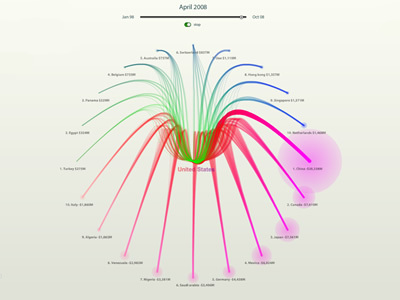 Users can analyze each year individually or animate the graph over the 10-year timeline.